Police determine the actor acted in self-defense after a man approached them and called Betsy Hackman a derogatory name. 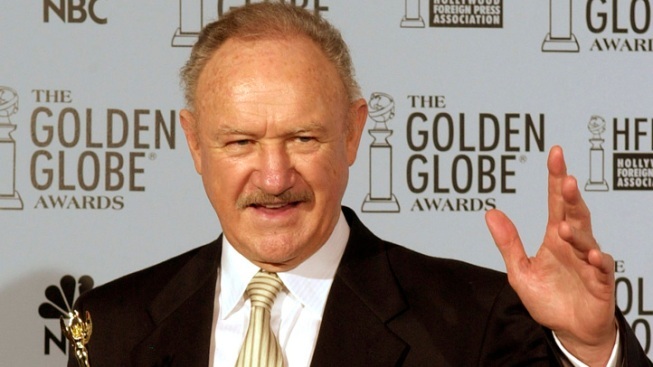 Gene Hackman, pictured here at the 2003 Golden Globe Awards, admitted to slapping a homeless man after the man called Hackman's wife a derogatory name. Gene Hackman: Loose cannon or knight in shining armor? The 82-year-old Oscar winner admitted to slapping a homeless man across the face this afternoon, saying the guy approached him and his wife, Betsy, in a menacing manner and called Betsy a derogatory name, Santa Fe, N.M., police confirm to E! News. Sgt. Andrea Dobyns told E! that the man on the receiving end of the slap called authorities at around 1:30 p.m. to report that he had been beaten up by Gene Hackman. Mitt Romney's choice to play him in a movie? Gene Hackman! Officers who responded were able to talk to both the caller and Hackman, who was still in the area after eating at a nearby restaurant. The "Unforgiven" star told police that the man approached him and Betsy in a very aggressive manner, called his wife a nasty name (TMZ hears it was the C-word) and otherwise made them fear for their saftey. The man got into his face, according to Hackman, and he hit him, "more like a slap than a punch," Dobyns said. The guy had no visible injuries and no one was arrested or cited for the altercation. "It looked like Mr. Hackman did this purely out of self-defense to protect himself and his wife," said Dobyns.